In general, one can say that Barcelona is no more dangerous than any other major European city. 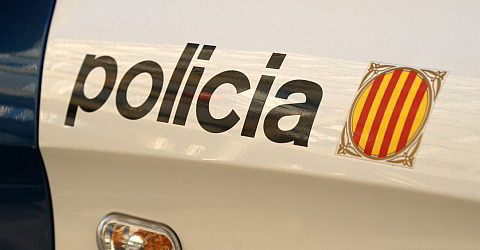 Although the number of thefts and the with the economic crisis associated increasing unemployment has been growing, many districts in Barcelona that you wouldn't have dared to go to in the past are, thanks to police presence, fairly safe today. However, you should follow a few rules of conduct so that you won't be the victim of a robbery or theft. The most important preventive action is for sure to leave valuable objects at home. Leave your documents, debit and credit cards that you don't necessarily need in the hotel safe. You can make copies of your documents and take those with you. Only take as much cash as you need and the debit cards that are necessary with you. Leave a little "nest egg" in the hotel safe. Please note: some stores require an ID for credit card payments as a safety. Usually an official photo ID such as your driver's license will do. Pickpockets stealing on the metro and on the Rambla are one of the biggest annoyance. Everyone is affected by them - tourists and locals. However you can protect yourselve from them, because those thieves usually look for easy meat. A wallet in your back pocket is reckless, easy money for the pickpockets. A neck pouch is a safe spot for your valuable objects. The camera belongs on the front, and not casually hooked on the shoulder. Open purses call attention to yourself. Principally you should keep your valuable objects where it is not easy to steal them without considerable effort, for example protected by a zipper. Pickpockets only spend a few seconds on their victim, if it doesn't work they quickly leave and choose a different victim, so they don't attract attention. Small-time criminals usually operate within groups: one distracts the victim, the other one steals the wallet and the third disappears with the theft. Sometimes the thief holds a newspaper above his fingers to hide pinching things from his clueless victims. The scams of distraction or the unobtrusive thefts are really diverse and the thieves are very originative. So don't get distracted! Show moral courage: if you see pickpockets, alert other potential victims and show the thieves that somebody is watching them. Don't be afraid to get loud. Your action will be appreciated. The thieves disappear fast if there's any danger that they get busted. According to a provision of the mayor, it is possible for the police to arrest reoffenders and immobilize them for a period of time even in case of a lowly theft. In the past this was only possible in case of robbery. Avoid little and dark alleys at night. If you don't feel safe, take a cab. Cabs are comparably favourable for mid-European relations. Keep your hands off any any kind of gambling on the streets (for example the shell game). On the one hand those are illegal and on the other hand many frauds aim for your money during these games. You won't win! Intrusive street vendors selling unnecessary nick-nack mainly on the Rambla, are usually harmless. Just ignore them. It's not worth telling them that you're not interested in buying anything. People in Barcelona will help if you ask. However beware of unasked and overly obtrusive helpfulness. This also holds good for somebody wanting to draw attention on a pretended damage at your car. Just stay seated with locked doors, smile and keep driving. You can still check later. Valuable objects and the radio should be removed from the car when you park it. It is best to park your car in a car park. Very important: after the loss of your debit or credit cards call the emergency number of your card company immediately and let them block all cards. The companies quickly obtain new credit cards even directly to your hotel. We have gathered all emergency numbers and emergency addresses on Barcelona.de in one page. Also, you should contact the police, even if they only able to procure your things back in a few cases. But high crime statistics have moved some city administration to implement more security. Addresses of police departments, where English-speaking police officers are on duty can also be found under the emergency number and emergency addresses. Advice: Look in the contract conditions of your credit card company. Possibly they can reimburse you part of fraudulent loss. But for this, it is essential to report the loss. If after a robbery you do not have any cash, you can withdraw some money - that someone send you from home - from Western Union. If the robber or thief is charged - which happens more often than you might think - and it comes to a court case, you will probably be called as an injured party witness. If you do not appear on the correct date, it will be judged as a waiver of any civil action. If, however, the court proceeds anyway, then it is missing the most important injured party witness. Non-appearance does not lead to negative consequences for the victim (especially if they have already been compensated by the insurance company). Interpreters can be arranged by the court, if you inform the court of the requirement in writing/ by fax in advance. The cost of travel and accommodation will be imposed on the accused if convicted. If the accused is without means, the witnesses have to bear the costs. For an accused person who lives as a thief, this is the most likely prospect. If you want to contribute to the court case and as a witness, you should simply plan a trip. You also have the opportunity to make your complaint via the Internet. There are entry forms in different languages, including English and German available. Please note that within 72 hours of your complaint you have to sign it personally at the local police station. The form replace a visit to the police station. Here you can find the online complaint form. The consulates will provide you with compensation documents for your journey home, in case of the loss of you identity papers. Within the Schengen area it is often sufficient to have a certificate from the police about the loss of papers. Also inform your airline about the loss. Vehicle documents can not be issued by the consulates. In this case it is sufficient to have the certificate from the police about the loss. Lost property will be collected by the police departments and the Office Fund. Identity documents are forwarded to the respective consulates. From there the respective consulates will send them to the issuing authority in Great Britain, Germany, Austria, Switzerland or other countries. You can get information from the pre-fund office in advance. Should you have lost or forgotten something in a taxi, the taxi association IMT offers a telephone service. Via the following number +34 602 101 564 you can reach the taxi lost property service. If you have lost something in the metro, tram, bus or funicular, the TMB lost property office may help you. Telephone: +34 902 075 027 (after 5 pm on the following day). Found properties will stored for one week at the Diagonal station, then it will be taken to the general fund office of the city (see above), if the owner has not reported or could be tracked. You can place the loss report online at the TMB fund office. On 17 August 2017, a terrorist drove a van through the crowds of people on Las Ramblas. As a direct result of this terrible act, 15 people died and over 120 were injured, some of them seriously. Since the attacks on Madrid in 2004, Spain has introduced far-reaching anti-terror measures which proved to be very effective. However as we have sadly seen, there can be no 100% protection from fanaticism and terrorism. It may not be possible to light-heartedly stroll along Las Ramblas for a long time to come, but we are of the opinion that we should not be afraid of terrorism. If this were not the case, the terrorists would have achieved their aim.